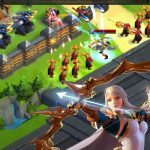 The Hobbit: Kingdoms of Middle-Earth by Kabam is a mobile game available for iOS and Android devices, that’s based on the popular movie series. Just in case you’re wondering if this official game is free, you’ll be glad to know that it is. In the game you’ll be gathering friends to form powerful alliances and make your way to the top of the leaderboards. You can play as an Elf or a Dwarf, and join many of the characters made popular by J.R.R. Tolkien as you build your empire and dominate the realm of Middle Earth. 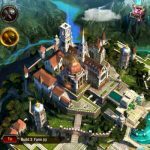 Since this game may be, for some, just about as immersive as Tolkien’s books, you can benefit by checking out the following The Hobbit: Kingdoms of Middle-Earth cheats, tips and strategies to help you rule Middle Earth. 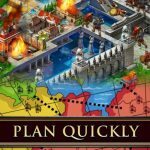 The game makes it very clear from the get-go – joining an alliance is paramount to achieving success. Once you’ve built an Embassy at Level 3, you can check a list of alliances and join the one where you feel you’d fit in the best. Of course, there are requirements, and you’ll see a checkmark or an “X” corresponding to whether you meet them or not. You’ve probably heard this from us before, but in RPG and/or strategy games, you should always follow the quests. These quests will set you on the right path and help you learn the game if you’re just starting out – simply tap on the Quests button located on the bottom of the main screen, and follow the recommended quest. Your troops need to eat, and that’s the simplest reason why you need a lot of food. In fact, you should have lots of it in reserve as your army continues to grow. By tapping on the resource bar that’s found on the top of your screen, you can check to see if food production is all up to speed. It also helps to use those one-time resource power-ups when they become available to you. Getting a second city should be your first objective, and that would typically be by gaining Second City Relics by raiding other players, or by raiding goblin camps between Levels 6 and 10; the Necromancer campaign could be very helpful to this end. When you reach Level 7, the Sage’s Tower will improve relic quality. You can also trade your relics in for a deed once you’ve earned a hundred of them. 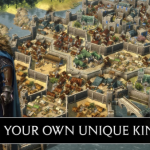 The Hobbit: Kingdoms of Middle-Earth will give out freebies on a daily basis, so it’s highly recommended that you log in to the game every day, even for a few minutes. You can get moon runes on the corresponding icon on the left side, while you can spin for Galadriel’s Gift, also once a day. The more you log in and play, the better your rewards will be – check the calendar (located on the right side of your screen) to make sure you’ve been logging in daily.